Undergraduate students at Tulane are lucky enough to have a variety of housing options on campus throughout their time as Tulanians. Housing and Residence Life offers single rooms, double rooms, studios and apartment style housing. Residential Learning Communities give students the ability to live with others who share their interests. These communities are centered around the honors program, social change and entrepreneurship, community service and civic engagement as well as neuroscience and public health. 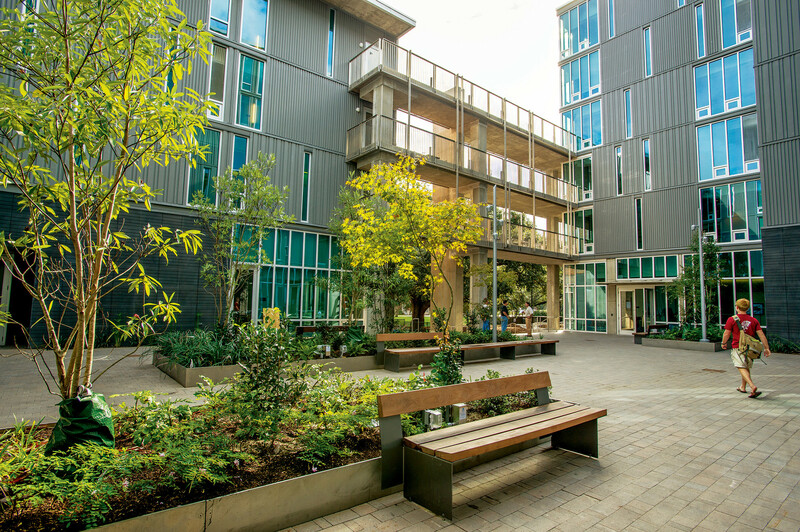 Each residence hall offers a wide variety of amenities for students, some of which are unique to that specific community. Residence halls have common rooms with TVs with streaming cable service, a common areas for studying or hanging out and vending machines for drinks and snacks. All communities offer free laundry facilities and many have classrooms in the building to seamlessly integrate learning into all aspects of life at Tulane. Living on campus is required for students’ first two (freshman and sophomore) years. Need help with a burned out light bulb, a loose vent or any other building issue? Just file a Service Wave online and help is on the way. 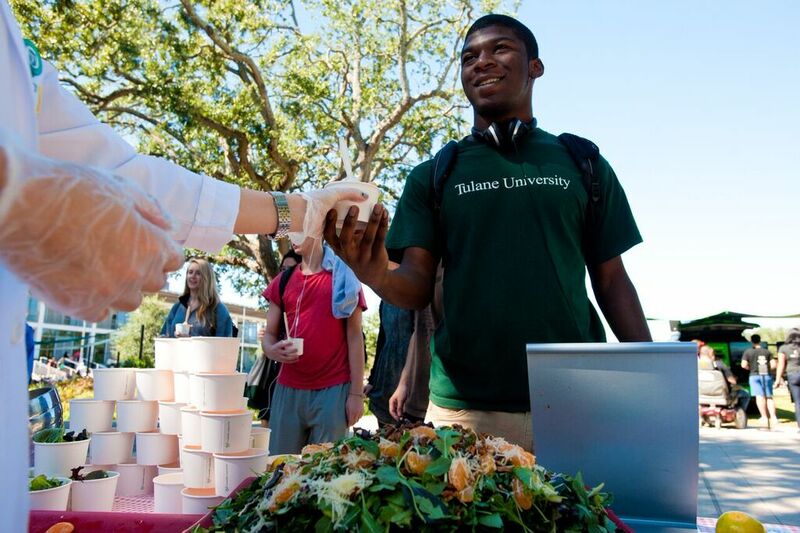 Tulane also offers a wide variety of meal plans and dining opportunities for students. Bruff Commons Dining Room, commonly referred to as Bruff, is the main dining hall on campus and offers dine-in, all-you-care-to-eat style dining. The Lavin-Bernick Center (LBC) Food Court is centrally located on campus and boasts an impressive assortment of international and local cuisine. City Diner at Der Rathskeller, affectionately called The Rat, is located on the garden level of the LBC. For students in a hurry, Bruff-to-Go, located on the first floor of Bruff Commons, is a quick alternative. Another Bruff-to-Go location can be found in the Drawing Board Café on the ground floor of Richardson Hall. Students may also visit Tulane's unique food trucks, Ironsides Waffles and Roulez, for fast and delicious meal selections. Other dining venues include the Drawing Board Café, Le Gourmet on the corner of Mayer Residence Hall, the organic, local kosher offerings of HK NOLA at Tulane Hillel, McAlister Market in Bruff Commons, three on-campus PJ’s Coffee and Tea locations, and partner locations on Loyola University’s campus.